On Instagram, Meek’s return home was celebrated by the likes of Rick Ross, YFN Lucci, Young Thug, A$AP Ferg and more. Since Meek Mill‘s release from prison on Tuesday (April 24), hip-hop has been going hard showing support for the Philadelphia rapper. From a phone call with T.I. to a public statement from Jay-Z, Meek has been feeling the love and nowhere is it more evident than on social media. Man today Was the best News I got in a while . Always hold on to that hope and Pray Hard . God will always pull up ?? welcome home bro. Welcome home @MeekMill God is Good ?? 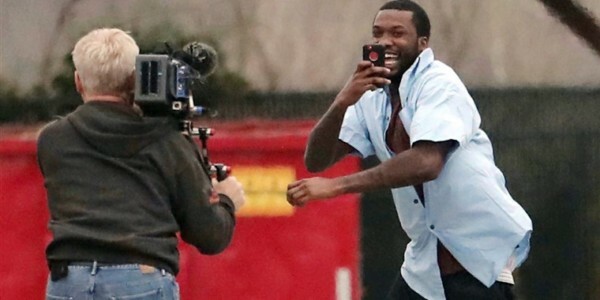 That boy meek mill is free great day for hip hop ? ?